Bags not afraid to go new places. Most great abstract artists have a firm grasp on the fundamentals. If they wanted to represent something realistically in their work, they could. One could argue that creating the most progressive abstract work requires an understanding of everything that preceded it. 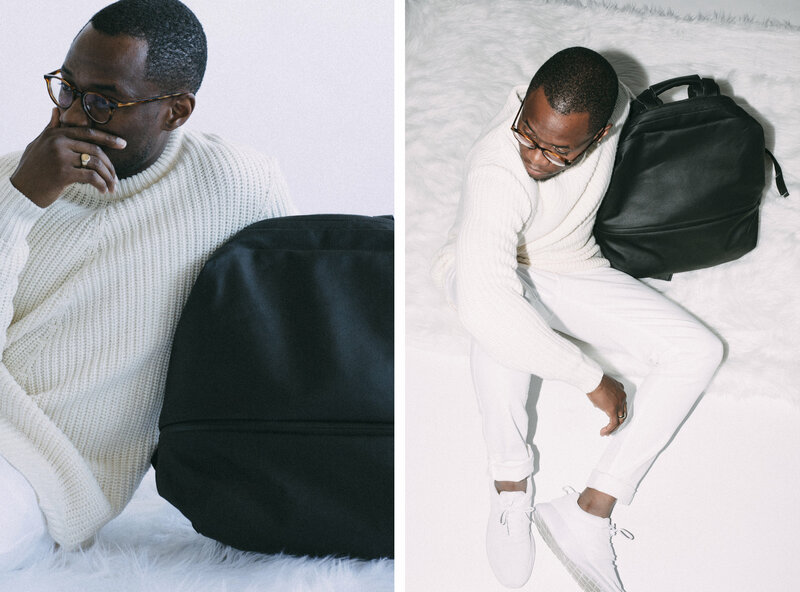 côte&ciel, which translates to Coast and Sky, is a bit like that—using mastery of traditional craft to create remarkably functional and beautiful bags that push the envelope in just about every way. 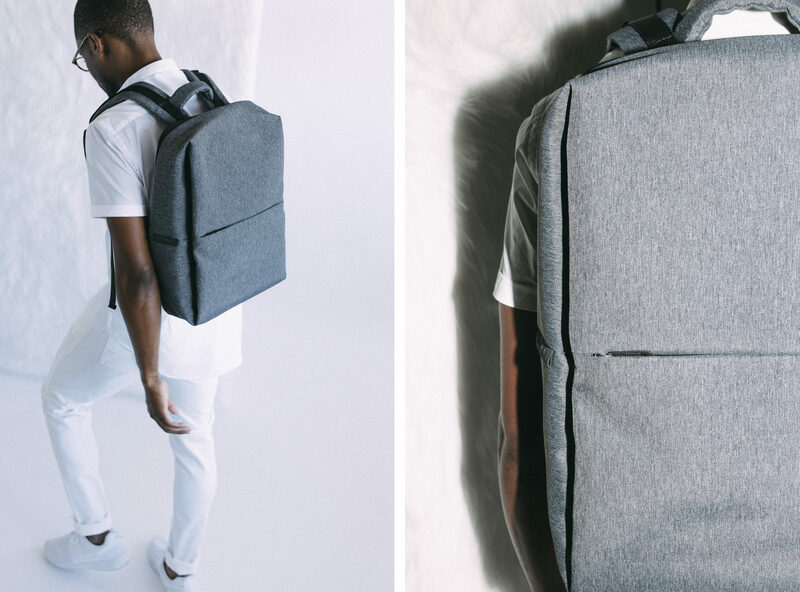 From the art and design hub of Paris, côte&ciel’s founders have long been inspired by architecture, biological systems in nature, and industrial design to create better weekenders, totes, messengers, handbags, and backpacks. First things first, a bag must be designed to work. That can mean different things for different people, but there are a few general rules: a great bag uses space in a way that considers the user; a great bag is durable; and (most importantly for some) a great bag is beautiful. So, when planning our European excursion for this issue, we knew we needed something that would look great, wear well, and give us the space needed for three weeks on the road. côte&ciel was our choice. 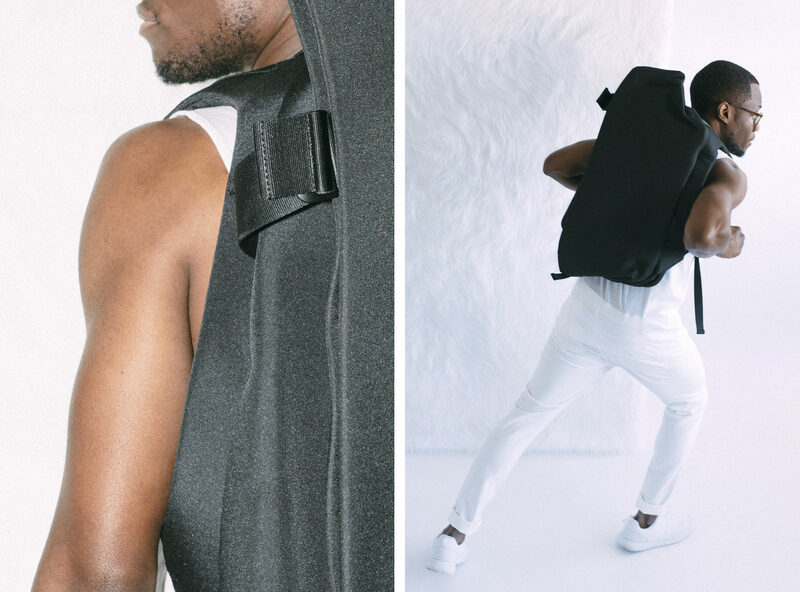 To use space in efficient and user-friendly ways, côte&ciel rethinks the shape and form of every style of bag, unconstrained by the rules about what a backpack (or any other style of bag, for that matter) has to look like. Their designs consider the human form. 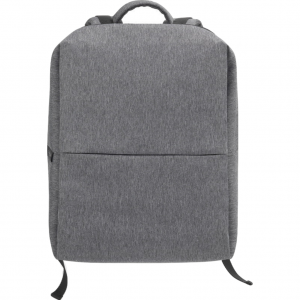 Backpacks emulate the curvature of the spine and let the weight of your belongings rest on the lower back. 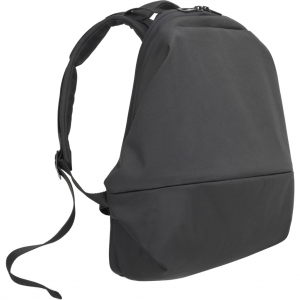 Weekenders and messengers feature wide shoulder straps that don’t dig in. 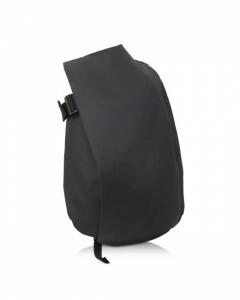 The places where the bag is in contact with the body feature soft lines and gentle curvatures. Meanwhile, real, heavy-duty materials and well-crafted details create uncompromising durability. From leather to heavy duty waxed canvas to environmentally friendly yarns, the materials are resistant, hard wearing, and made to look better with age. côte&ciel somehow manages true elegance in addition to that level of durability which typically comes with a more rugged aesthetic. Everything they make is stunning. First, the raw materials are carefully sourced and of tremendous quality. Soft-grain Italian leather (in black and other choice colorways) pervades the line, yet more modern and technical fabrics are integrated seamlessly to enhance function. So while the bags look amazing and wear in beautifully, your laptop is fully padded and safe as well. Second, the designers are both creative and meticulous. The forms are unique, obviously informed by a keen sense of aesthetic and a diverse design background, and each detail is considered. Colors are subtle and tasteful, as your favorite bag is bound to become a daily staple. Also, from the drawing board, the designers consider how each bag will look on-body to create eye-catching, beautiful silhouettes. Essentially, art is about taking something from the natural world and modifying it with human hand, head, and heart, with hopes of stirring something greater than the sum of its parts in the viewer. It’s the product of intellect and earth. côte&ciel is doing the same thing: taking inspiration and materials from the natural world and using a profound sense of tradition and tasteful contemporary design to create a truly remarkable product—maybe that’s where the coast meets the sky. Visit coteetciel.com to shop the entire collection.